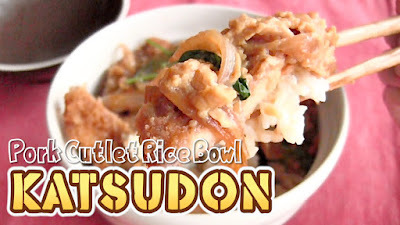 Katsudon is a pork cutlet rice bowl. Salty sweet flavor goes great with white rice! I hope you like it.